Visit the BMMA for complete details and information about this historic project. 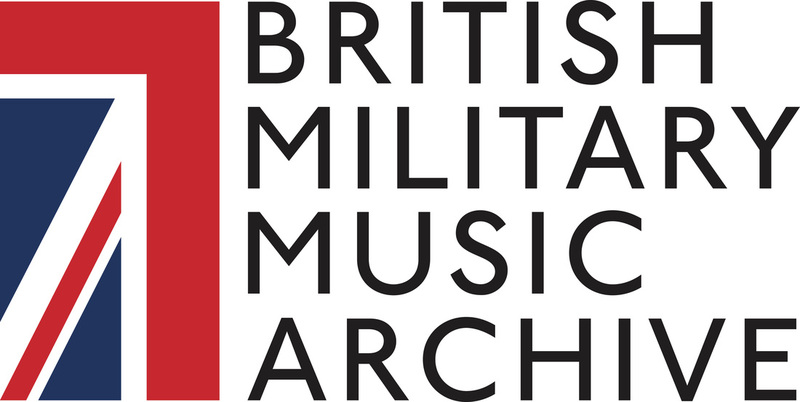 The British Military Music Archive project was started after the discover of thousands of vinyl and shellac recordings of The Bands of the Guards Division, some dating back to the early 1900's. These military bands were sought by recording companies to record the popular songs of the day; thus making this discovery a window in the heritage of British society. With an assembled team of experts, catalogers, historians, recording, re-mastering, and digitizing specialists, the BMMA has started to re-release this treasure trove of music through Naxos, making it available to the public for the first time in generations; heritage preserved for all. Colonel Simon Vanderleur (Ret.) was an Army officer in the Coldstream Guard for more than 30 years, and in retirement was serving as the Regimental Secretary when he discovered a room full of vintage recordings. After much research, the value of these heritage records became apparent. He assembled a team of music professions and now leads the preservation efforts to archive, restore, and re-release this music to the world, connecting the heritage of The Bands of the Guards Division to the present. Colin Dean served as the Secretary to The Band of the Irish Guard. He has the vast historical knowledge to the be right person to catalog the thousands of individual records from throughout The Bands of the Guards Division's history. 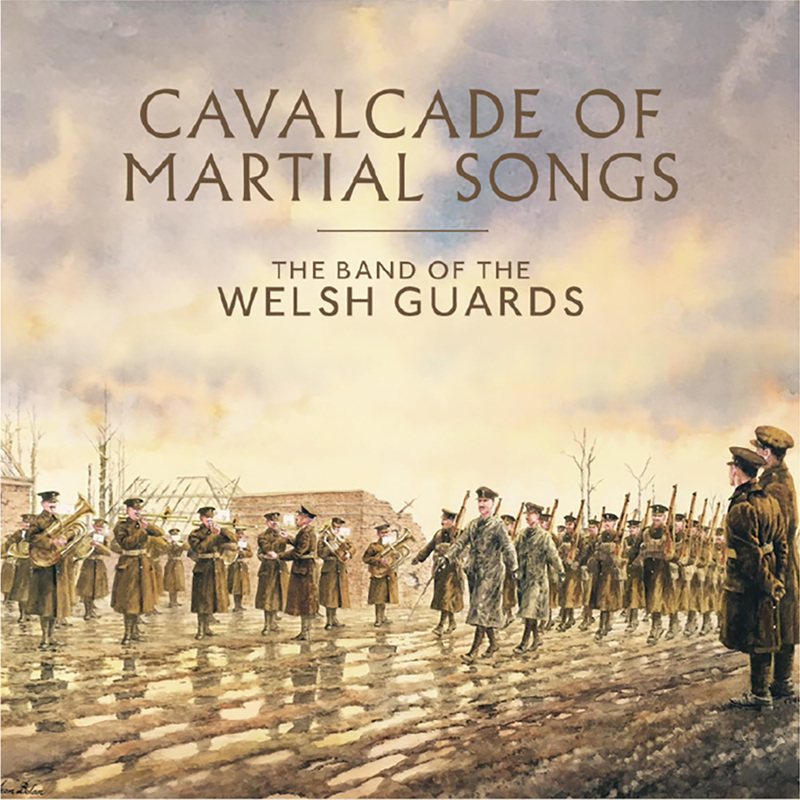 ​Of note, Colin spearheaded the timed release of music from The Band of the Welsh Guard from 1916 to coincide with their Centenary concert at the Guard's Chapel in March 2016. 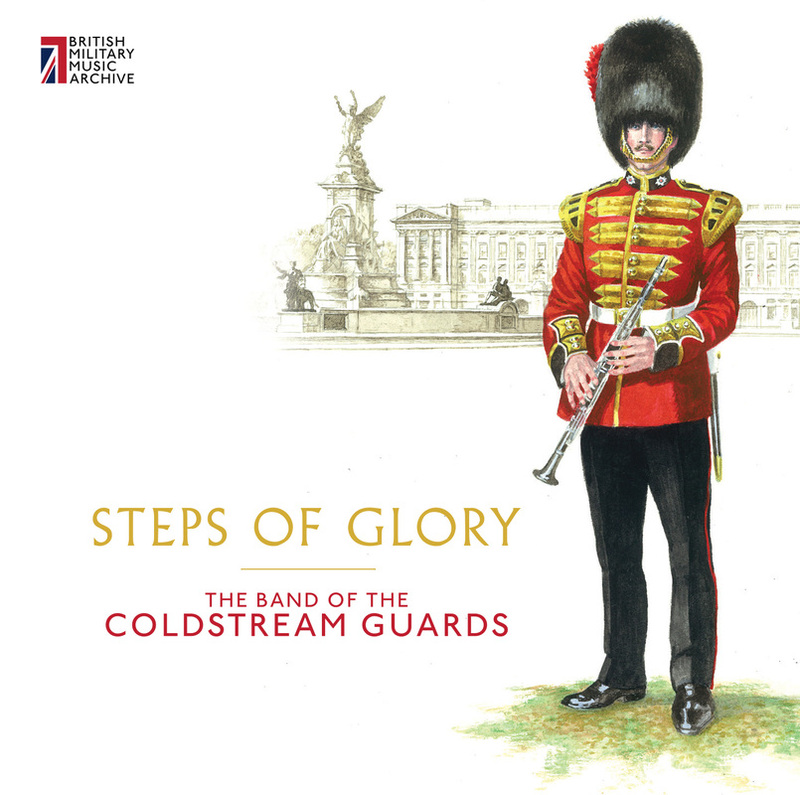 The Bands of the Guards Division have been synonymous with musical excellence for 330 years and have taken their music around the globe. With their scarlet tunics and bearskin caps, they form one of the great iconic images of Great Britain and a major part of the ‘shop window’ of the nation, standing proud at the forefront of all the great ceremonial occasions, which are the envy of the world. The bands are now based at Wellington Barracks in London and provide the musical support for all major ceremonial events in London and at Windsor, including the Changing the Guard, The Queen’s Birthday Parade (Trooping the Colour), Remembrance Sunday, State Visits and the State Opening of Parliament. The Grenadier Guards was raised in Bruges as a bodyguard to King Charles II while he was in exile, and moved to England after the Restoration of the Monarchy. The band traces its history back to a warrant signed by the King in 1685 authorising its formation, and can therefore claim to have been ‘born’ in the same year as Bach and Handel. The band originally consisted of Hautbois, an early form of oboe, with other instruments being added over the years as they were invented, the last being the saxophones in the latter part of the 19th Century. The band went to Paris in 1815 as part of the victory celebrations after the Battle of Waterloo and it is believed that three musicians from the regiment had earlier accompanied King William III on a visit to the Netherlands. In 1872 the band sailed to Boston in the United States to be part of an International Peace Jubilee, the first of numerous visits to the continent and one that was sanctioned only after a debate in Parliament. The Bandmaster at the time was Dan Godfrey, appointed to the position in 1856 at the age of just 25, one of a dynasty who dominated the Guards bands for the latter part of the century. He served in that role for 40 years and was a great favourite of Queen Victoria, who personally granted him a commission as part of Her Golden Jubilee honours in 1887, making him the first commissioned bandmaster. Lieutenant Godfrey was succeeded by Captain Albert Williams, a cultured musician who obtained his Doctor of Music degree from Oxford University while with the Grenadiers and he was, in turn, followed by Lieutenant Colonel George Miller. During Miller’s time the band made hundreds of 78rpm records in a wide variety of styles which are a great testament to the quality of the band during the 1920s and 30s. During the First World War the Guards bands did much to help recruitment and morale at home and took turns for three-month tours to France and Belgium to play for the Guardsmen at the front. The Band of the Grenadier Guards embarked on 22nd October 1915 to join the Guards Division at Sailly-la-Bourse, earning the distinction of being the only Guards band to receive the 1914-1915 Star. Two and even three performances were given daily and visits were paid to the troops in rest billets and in the cleaning stations. Amongst the musicians to serve in the band was Colour Sergeant Karl Schauenberg, a German who joined the band in the 1960s and who had been awarded an Iron Cross during his time with the Hitler Youth in the Second World War. It is said that he wore this medal when on parade, hidden under his sash! It is now displayed in the Guards Museum in London. Between 1970 and 1976 the band was directed by Major Peter Parkes who went on to enjoy an equally successful career in the brass band world including a long period as conductor of the Black Dyke Mills Band, winning numerous prizes and making him the most successful brass band conductor of his era. From the earliest days the Regiment had drummers and a "Band of Music" from 1685. This comprised eight civilian musicians who were hired by the month by officers of the Regiment to provide music for the Changing of the Guard at St James' Palace. When, in 1785, the musicians were asked to perform at an aquatic excursion to Greenwich, they declined on the grounds that the performance was "incompatible with their several respectable and private engagements." This was too much for the officers who asked the Duke of York, Colonel of the Regiment, for a regular attested band. He agreed and from Hanover in Germany sent twelve musicians under the direction of Music Major C.F. Eley. The instrumentation consisted of two oboes, four clarinets, two bassoons, two horns, one trumpet and a Serpent. The date of the band's formation was May 16th, 1785. In 1815, the total strength of the band was increased to twenty-two by the addition of flutes, key bugles and trombones. In the same year the band went abroad for the first time when it was ordered to Paris for duty with the Allied Army of Occupation, following the Battle of Waterloo. As was usual in the British Army at the time, the Regiment's early bandmasters were of German extraction. Christopher Eley (1785-1800), John Weyranch (1800-14), James Denman (1814-18), and Thomas Willman (1818-25). In 1835 the first British Bandmaster Charles Godfrey took over. This event anticipated the general replacement of foreign bandmasters in the Army by British musicians by about thirty five years, and it was under his baton that the foundation of the musical and military expertise of today began. In 1863 his son Frederick Godfrey took charge of the band, followed in 1880 by Cadwallader Thomas who retired in 1896. By the end of the nineteenth century the band had grown to thirty-five in number. Its importance had grown too; both within the Army and the British way of life. Queen Victoria decreed that all members of Household Division Bands would be known by the title of "Musician," as opposed to "Bandsmen" for the rest of the Army Bands. In 1896 John MacKenzie Rogan took over as Director of music and it was he who ushered the band into the twentieth century. He was the first Bandmaster to achieve commissioned rank and was the outstanding military musician of his day. By 1900 the size of the band had grown to fifty-one musicians and during the years before World War I the band reached new heights of excellence in concert and on record, their first recording took place in a London hotel in 1898. The Coldstream Guards Band became the first band to visit North America when it traveled to Canada in 1903, one of two western tours around that time. In 1916, with other regimental bands, the band performed in concert for the troops in northern France, and in Paris and Rome in 1919, after the end of the First World War. In 1920 when Robert Evans took over as Director of Music, the band had a strength of sixty-six. One of the duties he undertook was to take the Band to Coldstream, Scotland with the Regiment for the first time since 1660 to lay up colours. Throughout the 1920's the band continued to take part in state, ceremonial and a hectic round of public engagements all over the country, and as recording techniques improved, more fine records were produced. In 1926 the band again toured Canada, and on one occasion while in Calgary, they were transported in a fleet of Studerbaker limousines! The band appears to date from around 1716, soon after the regiment was brought onto the English establishment, and developed in size and instrumentation very much in parallel with the other Guards bands. The band took the central role in most of the embryo Edinburgh Military Tattoos held in the 1950s and had a pivotal role in its success and development. Amongst its numerous overseas tours, the band paid an extended visit to the United States in 1955, along with the Pipes and Drums from the 1st and 2nd Battalions, which set the pattern for regular ‘coast to coast’ tours by British Army bands, the Scots Guards’ last such visit being in 2013. Amongst its other overseas tours, the band travelled to Kenya in 1962 to give concerts at the Royal Agricultural Show in Nairobi while the following year it played at the Canadian National Exhibition in Toronto. In 1964 the Band, Pipes and Drums made a three-month tour of Australia and New Zealand, travelling nearly 40,000 miles and giving 147 concerts. The band recorded a number of long-playing records in the 1960s under Major James Howe, one of which, ‘Sousa Specials’, delved into the American composer’s lesser known marches and brought the band a Golden Zither Award, presented to them in Paris. On 3rd November 1990 the band deployed under war conditions to the Persian Gulf where the musicians was attached to 33 General Hospital based in Al Jubail in Saudi Arabi, with the musicians employed in various medical capacities including assisting in field operating theatres. As well as taking its turn to play at all major ceremonial events in London and Windsor, the band is frequently called upon to support the Royal Family at occasions at the Palace of Holyroodhouse in Edinburgh and at Balmoral Castle. The Irish Guards was formed on 1st April 1900 as Queen Victoria’s way of commemorating the bravery shown by the many Irish regiments which fought in the South African wars. Fittingly, the regimental band made its first major public appearance on 12th June 1901 when King Edward VII presented medals from that campaign on Horse Guards Parade. The first bandmaster was Mr. Charles Hassell and the band quickly gained a reputation for excellence as evidenced by the glowing press reports in 1905 from what turned out to be the first of many tours of Canada. The citizens of Toronto were so impressed with its performance that they presented the band with an ornate silver cup, which to this day remains one of its cherished possessions. The band’s earliest known recording was made on an Edison cylinder in July 1912 and it made numerous 78rpm gramophones from later that year, progressing through EPs, LPs, cassettes and compact discs. It is believed to be the very first military band to broadcast, the programme going out ‘live’ on the 23rd January 1923 on the 2LO station. In the 1953 it was chosen to give the UK premier performance of Paul Hindemith’s ‘Symphony for Concert Band’. The band has also made numerous appearances on television and in a number of films including The Prince and the Showgirl, The Ipcress File, and Oh! What a Lovely War, as well as being engaged to whistle Colonel Bogey for the soundtrack of The Bridge on the River Kwai. A number of former Band members have continued their careers with national orchestras, including the Hallé, the BBC Symphony and the Royal Opera House, Covent Garden. Two former Directors of Music, Major George Willcocks and Lt Col ‘Jiggs’ Jaeger also conducted the Black Dyke Mills Band at the National Brass Band Championships. Over the years the band has toured extensively, including a visit to Japan in 1972, where it was accorded the honour of being the first foreign band ever to play in the Imperial Palace in the presence of the Empress and the two Crown Princesses. In 2010 it undertook an eleven week coast-to-coast tour of North America. In 1948, the band travelled to Palestine to support the Guards battalions involved in the troubles and, sadly, Lance Corporal Ted Jones was shot and killed when the band was ambushed. Three members of the band served in the first Gulf war of 1990/91, and in June 1999 the band deployed to Kosovo as part of a NATO peacekeeping force. During 2012 the band was at the forefront of the celebrations to mark the Diamond Jubilee, including the Armed Forces Muster at Windsor and playing in the forecourt of Buckingham Palace on Jubilee Day itself. The band was also involved in the closing ceremony of the Olympic Games. As the British Army began to expand following the outbreak of the Great War, King George V readily agreed to a suggestion that the Principality should be represented in his Brigade of Guards. The regiment was formed in February 1915 and a few weeks later the City of Cardiff “wished to have the honour and privilege of presenting a Band to the Regiment of Welsh Guards” and so purchased its first set of instruments. The band began to form later that year with Mr. Andrew Harris appointed as the bandmaster. It made it first public appearance at the King's Guard Mounting on St. David's Day 1916 and took part in a Grand Welsh Patriotic Meeting held at the London Opera House that evening. Later in 1916 the band sailed for France to spend three months with the Guards Division on the Western Front, where its music helped to sustain morale amidst the unspeakable horrors of the Great War. During this period, 1st Battalion Welsh Guards returned from the front line for a rest period and found the band waiting to meet them and lead them for the last two miles back to the village of Meault; quite a dramatic moment as these tired and exhausted men heard their own band and their regimental march, The Rising of the Lark, for the first time. 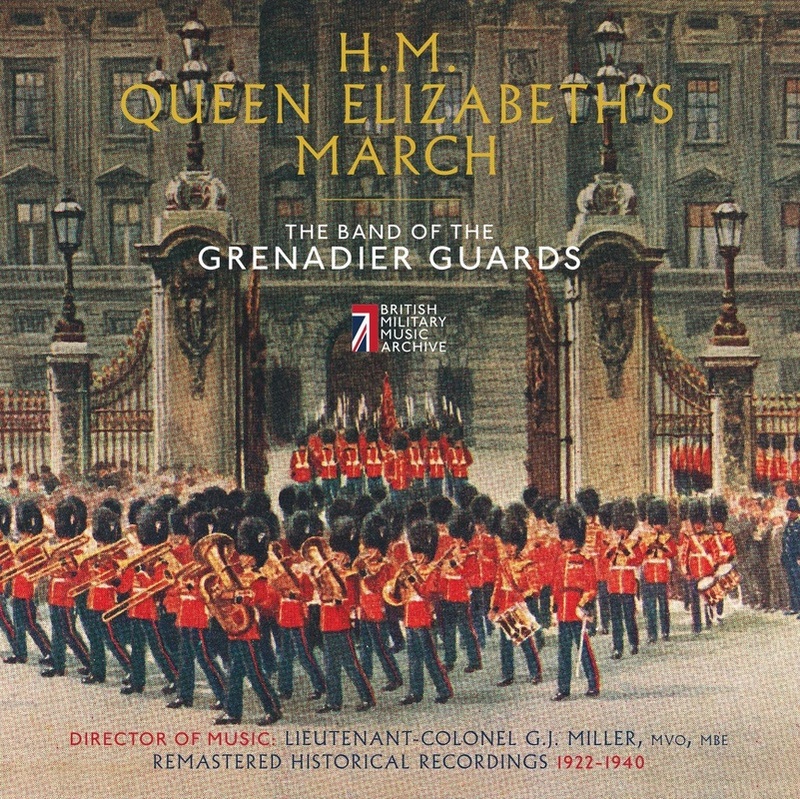 During the Second World War the band’s music again helped to raise national morale during the day, while its members were used on fire-watching duties at night. 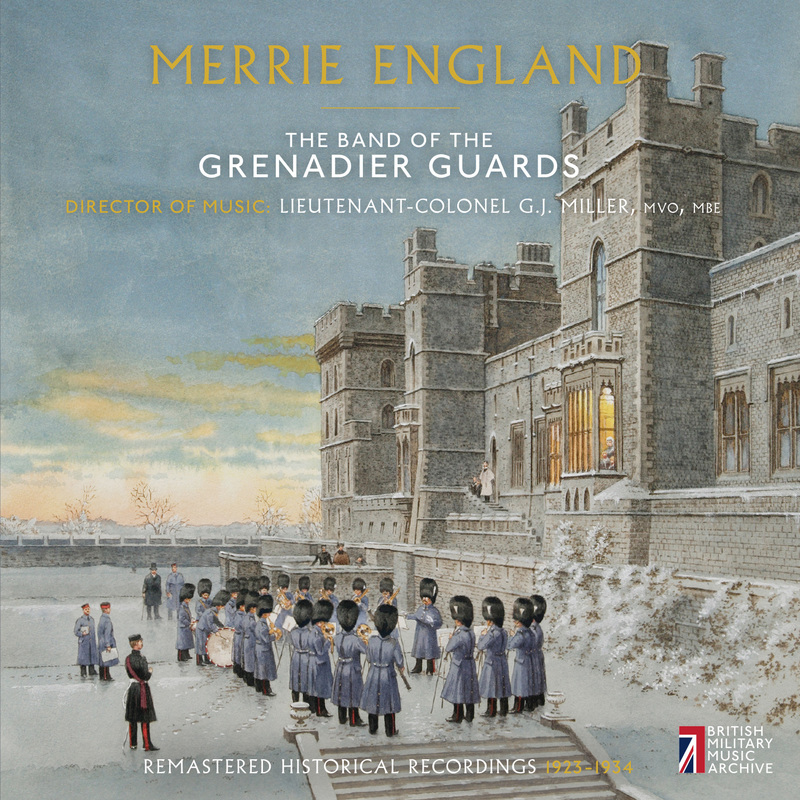 In 1940 it became the first service band to appear on the BBC’s ‘Music While You Work’ and played a total of 65 times on the programme, including a performance in 1943 by the dance band, raised to enhanced standards of excellence by members of the Geraldo Orchestra who had been conscripted into the band. The band has proved one of the country’s finest ambassadors and has made three ‘coast to coast’ tours of North America, giving around 70 performances in different cities in as many days. It has made two visits to play at the Canadian National Exhibition as well as undertaking numerous engagements in Texas and countries throughout Europe. One of the most rewarding trips came in 2002 with a ten-day visit to join 1st Battalion Welsh Guards in Banja Luka, Northern Bosnia, where their appearance in scarlet tunics and bearskins made a huge impact in what was still a war zone, helping the British to win over the hearts and minds of the local population. 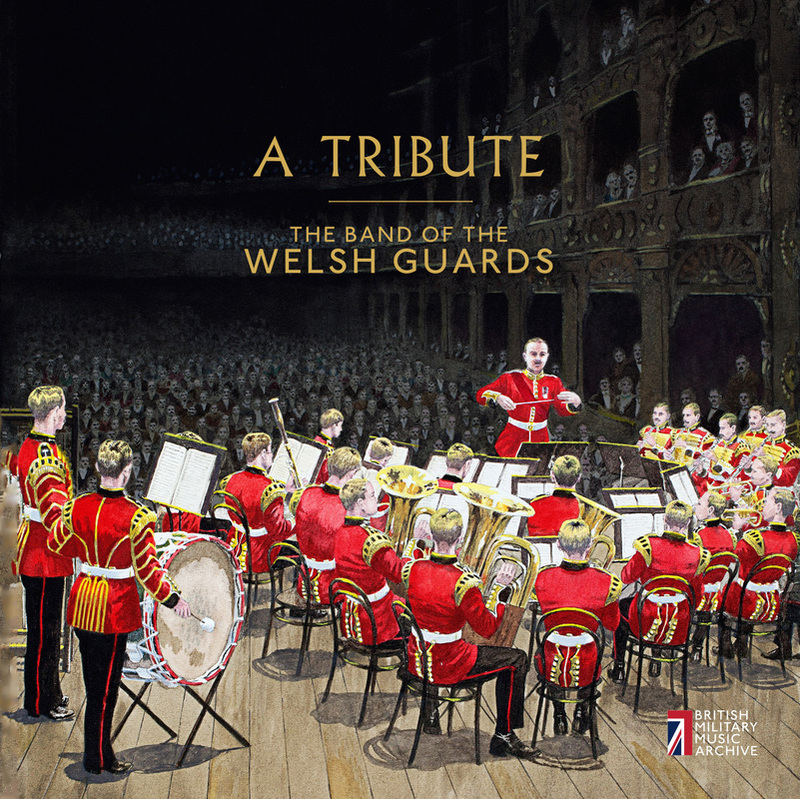 Throughout its proud history the band has taken its music to Wales on a regular basis, whether for parades, concert tours or broadcasts, including the largest ever live Songs of Praise which was broadcast from the Millennium Stadium in Cardiff on 2nd January 2000. It formed the backbone of the massed bands at each of the magnificent Cardiff Tattoos held between 1963 and 1987 and has given joint concerts with all Wales’s great male voice choirs. The band’s recording history dates from 1916 and the age of 78rpm, right up to recent times with ‘A Royal Tribute’ released in 2011 which reached the top positions of the classical charts. Amongst the recent highlights, in 2011 the band was in the Forecourt of Buckingham Palace as The Duke and Duchess of Cambridge returned from their wedding, and in Westminster Hall when President Obama addressed Parliament. The following year it played in St. Paul’s Cathedral when Her Majesty attended the service to celebrate her Diamond Jubilee, and was heard later that year at a number of Olympic Games venues including the closing ceremony, while in 2013 it was back at St. Paul’s for the Funeral of Baroness Thatcher.